Phenylketonuria Treatment Using Modified E. Coli. Gets Tested : Shots - Health News Researchers think genetically engineered versions of microbes that can live in humans could help treat some rare genetic disorders and perhaps help with Type 1 diabetes, cirrhosis and cancer. 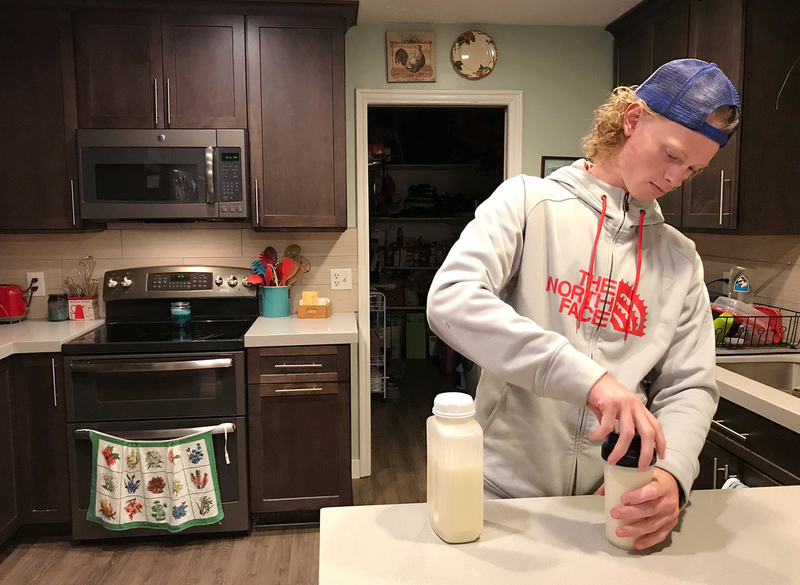 Jonah Reeder prepares a special protein shake that helps him manage a metabolic condition called phenylketonuria.